In the previous lessons we explored the ways that one on one interactions form the basis for social relations, and how social relations are the foundation of a society. As people network in a society, they form institutions that provide frameworks that shape human action and the ways that people interpret and build reality. Although contemporary anthropological perspectives generally lend more weight to individuals as active agents, we will address agency and practice theory in the next module. Here we will address structuralist theory and the ways that systems of meaning and institutions shaping culture and individual experiences. Structuralism is a theoretical approach emphasizing that cultural elements can only be understood according to their relationship to overarching system, or structures, that constrain individual freedom and choice. From this perspective, human behavior and action is determined by various structures. Structuralism is deeply rooted in semiotics, the study of signs and processes. Semiotic theory proposes that the meanings associated with signs are arbitrary and therefore signs can only be understood in terms of their relation to other signs within a system (Saussure 1916). 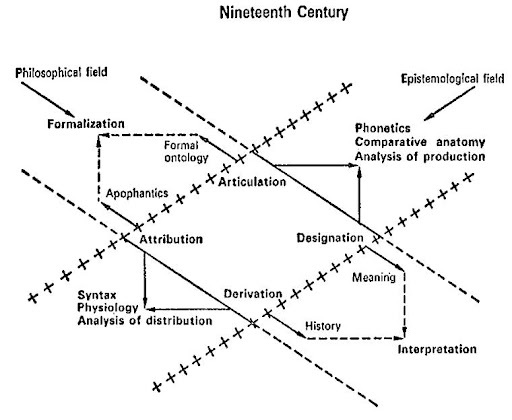 This is best illustrated in language systems where meanings are derived from the arrangement of phonemes as well as the relationships between words, or syntax (Saussure 1916). Drawing from semiotics, structural anthropology suggests that the individual elements of culture are arbitrary and their meanings can only be understood in terms of their relationships to other cultural elements that are arranged within in a larger cultural system. During the first half of the 20th century, French anthropologist, Claude Levi-Strauss, integrated structuralist theory into anthropology. In his book, The Elementary Structures of Kinship (1949/1969), Levi- Strauss contested anthropological frameworks that characterized kinship as a lineage system based on blood descent by arguing that kinship is a system of social alliances, and the meanings associated with kin are based on the person’s social positioning within the kinship system. From this perspective, it is the system of relationships (alliances) that form the meanings associated with kinship roles (daughter, father, uncle, cousin) and kinship can only be understood in terms of the overall structure of kin-based relationships. Levi-Straus went on to apply a similar approach to understanding other cultural systems such as mythology and food preparation practices. His book, Structural Anthropology (1958), made the structuralist perspective widely popular among anthropologists in Europe and the U.S.
Levi-Strauss along with a host of other scholars, such as Jacques Lacan (1968), took a psychoanalytical approach to structuralism by arguing that the human mind operated according to a common structure. Drawing from structural linguistic theory developed by Ferdinand de Saussure, Levi-Strauss suggested that the fundamental structure of the human mind is the same across all human groups, and that all people therefore share similar thought processes. Levi-Strauss explained that the universal structure of the mind arranged thought processes that organize the world according to binary oppositions such as male-female, hot-cold, nature-culture, etc. Although the notion of a universal structure among all humans has since been contested by post-structural theorists, his idea was significant because it emerged during a time when anthropology was pre-occupied with developing taxonomic differences among human groups. Structuralism challenged taxonomic tendencies in anthropology and forced anthropologists to take a closer look at the ways that social systems shape human difference. Structuralist theory has since been modified to a variety of academic and philosophical approaches. Thomas Kuhn (1962) and Karl Polanyi (1942) argued that science and knowledge systems are organized into collections of beliefs and assumptions, or ‘paradigms’, that are not validated by the discovery of Truths but through consensus and acceptance by a scientific community. This perspective challenges perspectives that portray science and knowledge as a progressive means of acquiring new information along a linear pathway toward Truth by identifying the ways that knowledge and scientific conclusions are shaped by systems of meanings and relationships that change through time. Michel Foucault’s books, The Order of Things (1966) and The Archaeology of Knowledge (1969) , examined the ways that science and knowledge are shaped by pre-existing ideas and beliefs, or epistemes. His approach is considered post -structuralist because it aims to unveil how individuals within the same social group can have very different ideas and beliefs because the human perspective, or interpretive lens, is shaped by different experiences. Foucault’s work emphasis the need to interrogate the role of power and systems of inequality in shaping the human experience and the interpretation. We will explore the work of Michel Foucault in greater detail in the next module. 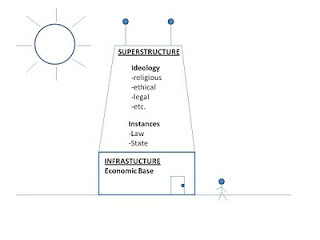 Structuralism has also informed theoretical approaches to social relations within political and economic systems. Eric Wolf has argued that contemporary social relations cannot be understood outside of the context of the political and economic relations that comprised the colonial system. In module two, we briefly touched on Louis Althusser’s notion of the ‘ideological apparatus’ which is the result of Althusser’s blending of Marxism with structuralism, or structural Marxism. Building on Marxist ideas, Althusser points out that the material modes of capitalist production and the material relations of production are distinct from the ideological contexts in which the relations are perceived. What this means is that in order to understand an economic system, we must address the system of ideas and beliefs that are embedded in economic activity. Like Foucault, Althusser also diverged from mainstream structuralism by addressing how power inequities and (class-based) inequalities result in different structural experiences. This approach launched feminist post-structuralism which challenges male-centered, or andro-centric, interpretations by interrogating gender inequality within patriarchal structures in order to highlight the unique experiences of women. We will explore this in greater detail in the next module. Sophisticated technologies available to neuroscience have stimulated new questions in neuroanthropology regarding the relationship between the structural foundation of human brain activities and shared patterns of culture and human behavior. An example of this was presented in the video ‘Empathic Civilization’ by Manuel Lima which described how cognitive mapping techniques helped identify the cognitive capacity for empathy which is now suspected to be a key part of human survival. It is also illustrated in the RSA animate posted below where Ian McGichrist explains how ‘The Divided Brain’ affects culture, behavior and society. Another key aspect of biogenetic structural analysis is the investigation of symbolic function, or the cognitive processes that translate symbols to meanings (Laughlin, McManus and Stephens 1981). This is central to understanding the human experience because as the Language lesson in module one pointed out, the symbolic association of symbols and meanings is considered the hallmark trait that seperates humans from non-human primates. Structuralist interpretations in anthropology have been widely criticized for being ahistorical and for creating deterministic models that position external structures as the foundation for the human experience and ignoring the role of individual agency and the existence of multiple interpretations. As a result, structuralist theories have largely given way to a more recent trend toward a more critical anthropology centered on post-structuralist, post-modern, cultural relativist and deconstructionist perspectives which we will explore in greater detail in the next module. 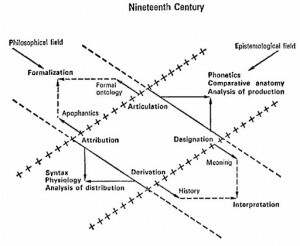 However, structuralism has undoubtedly left an indelible mark on the field of anthropology by forcing anthropologists to broaden the scope of social inquiry by looking beyond seemingly isolated phenomena and recognizing the interconnectedness of human thought and action as part and process of a system. As you work through the upcoming lessons, important to consider the ways that social structures such as economics, education and legal systems are embedded within cultural systems comprised of interconnected relationships that produce meanings.